Offering the Sales Analysis & Forecasting Tool© which enables efficiencies to improve forecasting, manage inventory and make strategic decisions that positively impact the bottom-line. Looking for Accurate Analysis & Forecasting? It Starts With Clean Data! 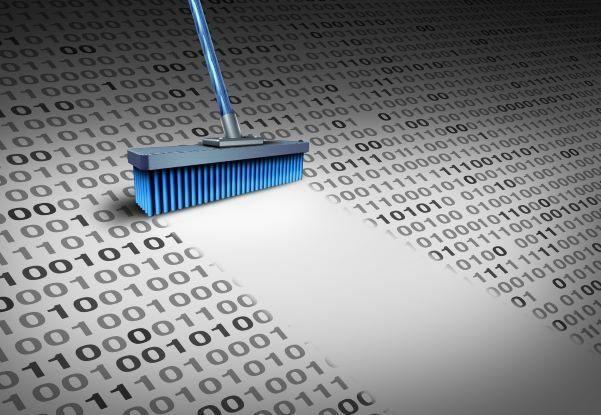 Clean data starts with the company’s Product Master. The Product Master contains the Hierarchy and Categorization of all of the company’s products. Data should be arranged so each column is a single variable (ie. Attribute: color, size, etc.) and each row is a single sample (ie. SKU). The Hierarchy and Categorization will, of course, be different for different industries, but they should represent the main selling attributes of the company’s products. For example, a Product Master for a Retailer may contain the SKU, vendor item number, Department, Class, size, color and seasonality, as well as other selling attributes. A Product Master for a Service Provider may contain Customer Name, Phone number, address and type of account. Having meaningful attributes assigned to the company’s products enables the data to be sliced and diced to gain insightful analysis. Complete – there cannot be blanks in the table of attribute values. Blanks would result in that SKU’s data being excluded from the analysis of that particular attribute. Accurate – the attribute values must be correct. For example, if a shirt is Green, a different color should not be entered for the ‘Color’ attribute. Doing so would make the analysis unreliable. Clean – attribute values must be consistent. For example, if the name of a state is abbreviated for one SKU, but spelled out for others, analysis of that attribute will be inaccurate. While several departments of the company may use the Product Master, it should be contained in one location, with one person or department responsible for its maintenance, ensuring quality. The IT department should establish rules for the creation and maintenance of the Product Master. For example, a dropdown could be added so the choices that are available are consistent across items in the Product Master. This promotes quality analysis. Once your Product Master has been established, the next step is to ensure the numerical data history that is imported into your forecasting system is clean. Clean data history is free from data-entry errors, formatted correctly, and entered into the correct time periods. The units that the data is measured in should be consistent for that particular field across items. The data should also be complete. There should be no blanks, and there should only be zeroes if the value truly did equal zero. The better the history that is entered into the forecasting system, the better the forecasting results. Data integrity is a collaborative effort. The IT department must establish rules to prevent incorrect data from entering the system. They must verify the information is being pulled accurately and completely. The distribution center must do periodic inventory counts to ensure the inventory levels are correct. The business analysts or planners must validate the data. If data looks suspicious, it must be investigated. Maintaining a quality Product Master and data history does take effort. But, if steps are taken at the beginning to ensure only complete, accurate and clean data enters the system, companies can realize the benefits that good data analysis and forecasting can add to the bottom line. [basic-code] ™ is a solutions provider focused on forecasting and demand planning to improve the accuracy of forecasts, align inventory with demand and enhance profitability. Contact us today!